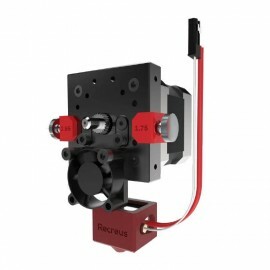 Compact and robust extruder from original E3D. The original E3D Titan Aero is an advanced technology extruder that fuses the design of the E3D Titan with the HeatBreak E3D v6, resulting in a fantastic combination for all types of 3D prints of high quality and precision with any type of filament. Through this merger, the E3D brand set out to meet requirements to get just what they wanted, an updated and improved extruder concept. The main objectives were to minimize the distance that the extruder occupies in the z axis and with this to be able to realize 3D impressions of greater height, and to look for a method to give continuation to the users of the E3D Titan Extruder without having to buy a complete kit.On the other hand be compatible with the HotEnd E3D v6 and Volcano, as well as with all its components (nozzle, sensors, thermistor cartridge), offering the consumer the option to choose the combination that best suits your 3D printing. In addition, manufacture the design in steel, guaranteeing the quality that has provided the E3D v6. And finally, cut the maximum possible length of filament by the extruder to obtain more precise, sensitive 3D impressions and with stops and softer starts; So that less flexing of the filament in the extruder is also achieved, thus achieving ideal impressions with flexible filaments (FilaFlex, Flexfil TPU, PLA Soft...). E3D Titan Aero replaces the Titan Extruder's transparent housing with a heat sink, with a completely different appearance to the E3D v6, but maintaining its qualities and even improving them. This design change reduces the length of the extruder by 25mm compared to the E3D v6, allowing for higher impressions. With this decrease, the Titan Aero reduces extruder bending, even at high speeds, making extremely accurate 3D printing. This new type of extruder presents a very interesting quality compared to other longer extruders, which accumulate the extrusion tension for a long length causing irregular impressions; The Titan Aero presents a continuous impression even after stops and starts at high speeds. All of the above mentioned not only favors the 3D printing of flexible filaments, but it allows to use any type, even engineering filaments that need high printing temperatures, with a great facility of maintenance of the extruder and change of filament. The most complicated part for E3D has been the design of a heatsink so compact that it works with the quality of the E3D v6. First, they carried out the simulation of the heat distribution to optimize the design of the fins of the heatsink, in order to find the optimum point of refrigeration. But like any simulation, a prototype is needed to check the results. This was expected, since it was part of the Titan Extruder with 15000 hours of operation without any failure tested by E3D. In addition to this, E3D forced the Titan Aero with high temperatures in 3D impressions with PLA, where they are usual jams, demonstrating the great quality of this extruder, since it didn´t show any type of jam in all its tests. In summary, the E3D Titan Aero combines the best of the Titan Extruder and the best of v6, giving rise to a robust extruder, reliable, easy to assemble, use and clean, and capable of printing all types of filaments, especially flexible. 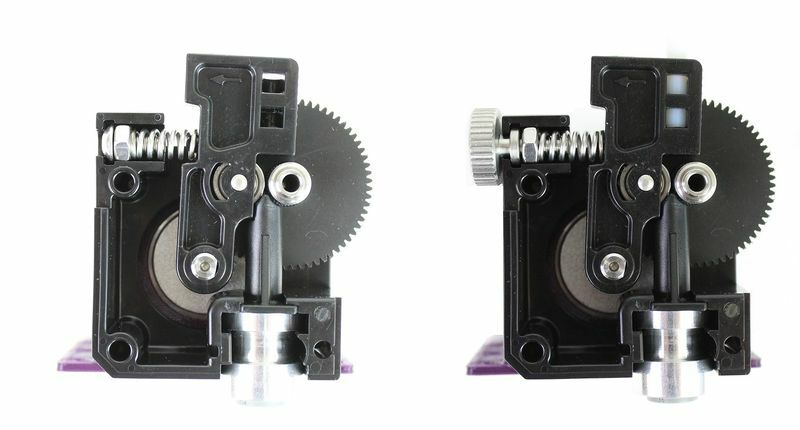 It´s compatible with all E3D products, allowing you to mount any HotEnd with any nozzle. In addition, being compact, it makes better use of the z axis length by providing continuous and constant filament extrusion. After mounting the original E3D Titan Aero on the 3D printer the height of the z axis (base leveling) must be adjusted. 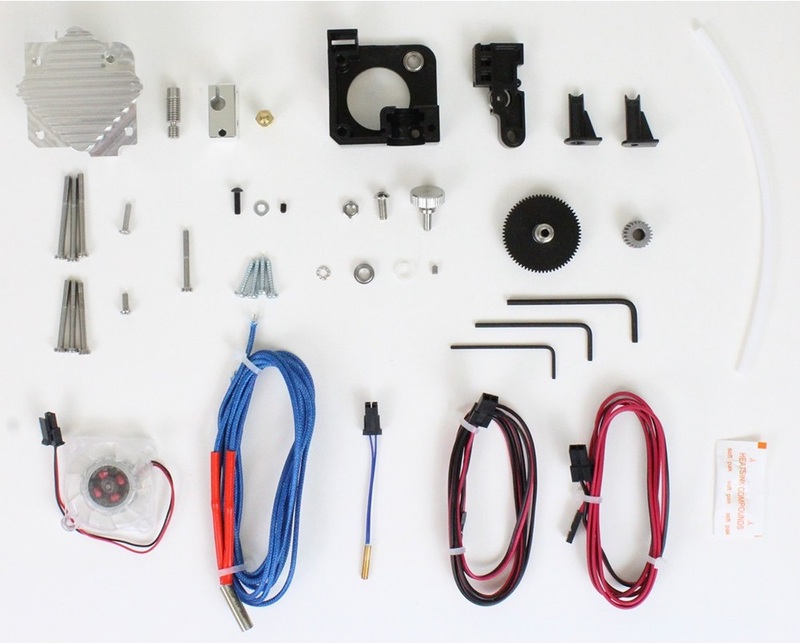 E3D offer a wiki with everything you need to properly assemble the extruder in the following link. Filament diameter: 1.75mm o 3mm.